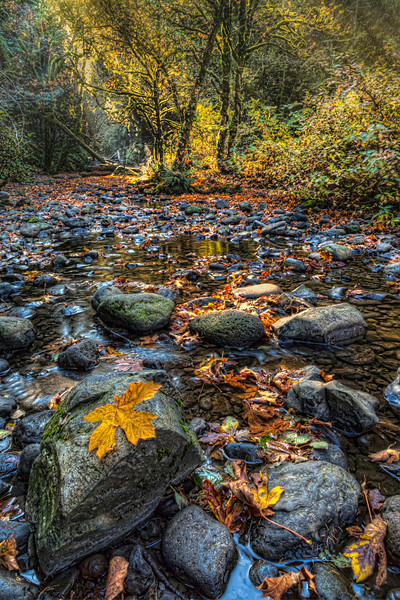 Oneonta Creek and Gorge in Fall Colors. The Water is Almost a Trickle Now. Should be Easier to Access the Waterfall in the Back of the Canyon. Wading Would Still be Needed and the Water Cold BUt Accessable..